Special egress locking facilities for BCA compliance in certain circumstances-see certification attached. 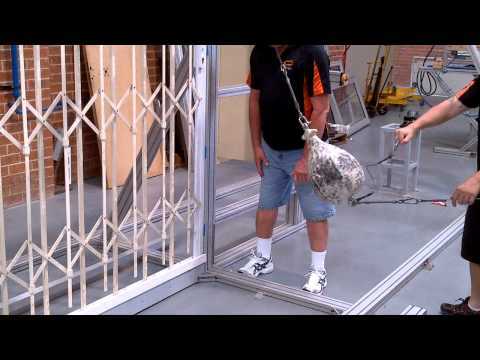 These Trellis Security Doors have received recent certification for fire egress application. Locking mechanisms-also featuring up/down key-turn shootbolt locking for a seamless locking effect without the need for permanent posts or floor track.